Aston Villa is a club that used to compete in the Premier League for various seasons including: 2013-14 until their campaign of 2015-16 which is when they were relegated after finishing at the bottom of that season at the 20th spot with only 17 points collected. Steve Bruce wants to get Aston Villa back into the Premier League but in order for this to happen, they might have to sign a number of new playersand with the summer transfer window less than 1 month away from opening, this is Steve Bruce´s chance to start acquiring new talent to his squad and get promoted back to the English Premier League. The squad of Steve Bruce is currently competing in the English League Championship and had to settle with the 13th spot and trying to go from their present situation into the Premier League is a huge task but according to the CEO of Aston Villa, Kyle Wyness has stated that there is a large amount of things that will be done in the summer transfer window in order to increase the quality of the squad. “Steve has three or four targets that he wants and I can do that from the disposals of the players. We already have plans and are in discussions. There are a number of players on loan who we know the clubs want that we can sell and at the same time adhere to financial fair play rules, which are there, and very clear for us.” The CEO of Aston Villa, Keith Wyness said. 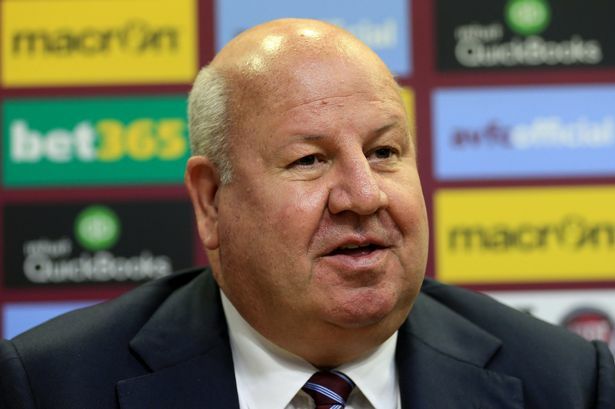 According to the CEO of Aston Villa, there will be at least 10 players leaving the club in the summer in order to make way of the new signings that are expected to be made within the upcoming few weeks.